Porcelain crowns are a strong, durable porcelain which reinforces, or strengthens, weak, chipped, broken or cracked teeth. This durable porcelain is also resistant to stains and can be fabricated in a variety of tooth colored shades. Porcelain crowns are commonly used to perform smile makeovers with bleach white porcelain crowns but the color of the porcelain is variable based on the patients desires. Sarasota Dentistry, and Dr. Hank Michael, are experts in cosmetic, general and implant dentistry. Whether you have a single broken tooth or you need a smile makeover or full mouth reconstruction with porcelain crowns and dental implants, Dr. Michael and his expert team at Sarasota Dentistry can formulate a treatment plan that meets your needs and desires. What Are Porcelain Crowns? Are There Different Types of Porcelain Crowns? Porcelain crowns are a thin layer of porcelain designed to reinforce, or strengthen, a tooth that has been weakened by cracks, chips, wear, fractures, decay or a root canal therapy. They act very much like the rings on a wine barrel, holding the core of the tooth securely together and thus preventing a catastrophic fracture of the root. Porcelain crowns fit on the core of a tooth like a hat fits on your head. The tooth’s core is shaped so that the porcelain crowns slides over the core of the tooth and then meets the tooth at the gum-line – covering any exposed root surface. There are few types of porcelain crowns. There are feldspathic porcelain crowns, leucite reinforced porcelain crowns(Empress), lithium disilicate porcelain crowns(Emax), and porcelain fused to zirconia(PFZ). While most all of them will work, some may be better suited for a particular application depending on a number of factors. Factors such as clenching and grinding, which would require a stronger porcelain crowns. Factors such as a very dark core or metal post in the core of the tooth, which would require a porcelain crown that could hide, or mask, the discolored tooth core. It is important to note that those old porcelain fused to metal (PFM) crowns ARE NOT considered a porcelain crown. While many of the old PFM are functioning just fine, these crowns are usually not very nice looking… especially when you see the metal showing at the gum line. Porcelain crowns do not have the ugly metal showing at the gum line. Sarasota Dentistry places an emphasis on metal-free porcelain crowns, however, there a few instances where metal reinforcement are indicated which is a rare instance. CEREC same day, or one-visit porcelain crowns are lithium disilicate (Emax). At this present time, that is the superior porcelain crown of choice for in-office restorations. Who are Porcelain Crowns For? Porcelain crowns are routinely used to restore cracked and broken teeth. They are also commonly utilized in cosmetic and implant dentistry to create smile makeovers and to restore dental implants. Porcelain crowns are a wonderful material when performing a smile makeover because you can lengthen teeth, rotate teeth, close spaces, adjust the occlusion, and whiten the teeth all with porcelain. You can literally create the smile of your dreams and make it a reality with porcelain crowns and veneers. These smiles aren’t just beautiful either, they are extremely durable and long lasting. Porcelain crowns can also be used to restore function in a severely worn dentition. This may be caused by clenching and grinding or it may be caused by acid reflux or some other oral habits that lead to tooth erosion. Nevertheless, porcelain crowns can be used to build these teeth back up to normal aesthetics and function. Temporomandibular joint disorder or TMJ can also be treated utilizing porcelain crowns when the cause of the TMJ is malocclusion or a crooked bite. So whether it is a single broken tooth or the need for a full-mouth reconstruction, porcelain crown a wonderful treatment option. 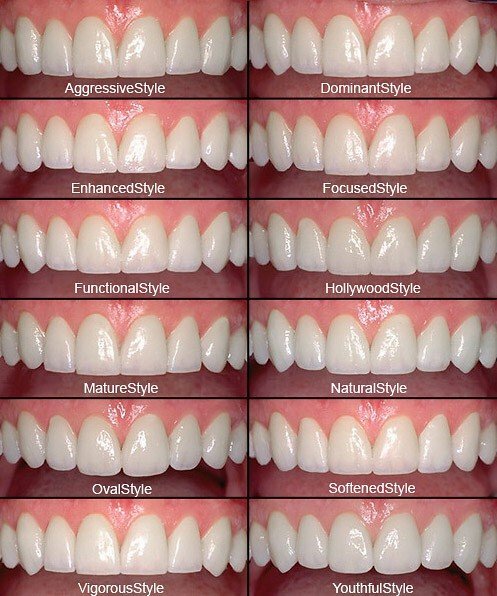 What is the Process of Getting Porcelain Crowns? Single tooth porcelain crown with CEREC – this process is the most convenient porcelain crown procedure in the world. In less than 90 minutes a final porcelain crown is bonded to the tooth. It all begins with getting a pain-less injection to numb the tooth, then the decay is removed and the tooth’s core is restored with a build-up (if necessary) The tooth is thens shaped for a crown by the doctor prior to imaging the crown preparation with CEREC. At this point, the patient is free to watch TV, read a magazine or whatever for about 30 minutes while the doctor designs, mills, stains, glazes and fires the final porcelain crown. Once out of the oven, it’s meticulously cleaned prior to trying in the mouth. 99% of the time it fits precisely. The only thing left is the final bonding and adjustment of the final porcelain crown. Multiple porcelain crowns with CEREC – everything is the same as above except it takes more time. We generally limit the amount of restorations being done in one visit not to exceed 4 hours in the office and we highly encourage sedation for these long visits. Patients doing multiple porcelain crowns with CEREC are advised to bring a book or lap top to keep busy. They can always take a nap too… especially if they chose to be sedated. Smile makeovers with CEREC – these cases require a little more preparation. The process begins with making molds of the teeth which are then converted into two sets of study models. One set will remain unchanged while the other is modified with wax to simulate the desired cosmetic changes in the smile – this is the diagnostic wax-up. The wax-up can be completed in 1-2 weeks depending on the complexity of the makeover. Once the smile design with the wax-up is completed, the patient then returns for the dental procedure. The teeth are prepared for porcelain crowns and the diagnostic wax-up is utilized to transfer the new smile into the patients mouth with acrylic temporary crowns. These temporary crowns and the prepared teeth are imaged with CEREC. At this point, the temporary crowns are temporarily cemented and the patient is free to go. They may return later that day or that week to have the final porcelain crowns installed. When the final porcelain crowns are seated greatly depends on the patients goals and availability as well as the complexity of the case. It also depends if they are under dental sedation. Patient can not be sedated when the final crowns are seated… it requires their uninhibited approval. Smile makeover or implant crowns fabricated by the dental lab – Again, the process begins with molds, diagnostic models and a wax-up. One visit for the impressions and one visit to review the wax-up of the proposed smile makeover, sign consents and get any needed prescriptions. Once the wax-up is approved, the patient returns to have the teeth prepared and acrylic temporary crowns are fabricated using a mold of the idealized wax-up. These temporary crowns look and feel like the final restorations with the exception of some surface texture. The patient usually wears these for one week before returning to the office to give their approval. If they are happy with everything, models of approved temporaries are taken and sent to the lab to fabricate the permanent porcelain crowns. If there are any concerns with the temporary crowns, they are addressed by adjusting or remaking the temporary crowns. The patient is instructed to return in a week to either approve or request another modification of the temporary crowns. This is repeated until the patient is completely satisfied with the temporary crowns. Finally, the final porcelain crowns are seated and accepted by the patient. If they are acceptable, the porcelain crowns are permanently bonded in the mouth. Excess resin(glue) is removed from the crown margins, the bite is checked carefully and a final impression is taken to fabricate a night guard. The patient is instructed to return the following week to be fitted with the night guard and the bite is checked again to verify that it is correct. Single or Multiple Porcelain Crowns (Not Smile) Fabricate by the Dental Lab – Sarasota Dentistry rarely makes porcelain crowns in this fashion due to advances in dental technology. In the past, it was necessary to prepare the porcelain crowns and make a temporary crown. The patient would then return 2-3 weeks later to have the final porcelain crown seated. That technique required two visits to the dental office, two dental injections and a goopy impression of the teeth. With CEREC single-visit crowns, we have no second injection, no extra dental visit and no goopy impressions! There is still one exceptions which may require a dental labs services when fabricating a porcelain crown. That is if the color of the core of the tooth is too dark to cover with Emax porcelain. While technology is advancing and this too may be an in-office procedure soon, for now a porcelain fused to zirconia fabricated at the dental lab is the best choice for those types of porcelain crowns. Porcelain crowns are basically cared for exactly like you should care for your natural teeth. They are a protective coating of porcelain but the margins (at the gum-line) are susceptible to recurrent decay (cavities). Routine brushing and flossing with fluoride tooth paste is recommended twice a day. In addition to brushing and flossing, interdental cleaning with a proxy brushes, such as the Piksters, is recommended. Sarasota Dentistry also recommends professional dental cleanings at least twice per year and a doctor exam and x-rays once per year. For patients with evidence of past grinding or clenching, a night guard is recommended. Oral habits such as, biting finger nails, opening wrappers with the teeth, or cutting fishing line or thread with the teeth, or any similar activity are strictly prohibited. Such behavior may cause the porcelain crowns to fracture or chip. Repair or replacement caused by this type of activity is generally the patients responsibility. Porcelain crowns are the ideal material to both strengthen week teeth and enhance the visual appearance of a tooth. Most commonly, porcelain crowns are used to repair a cracked or broken teeth by restoring them to match the natural color and shape of the surrounding teeth. Once a tooth is “crowned”, it is very resistant to fracture and can be relied on for heavy chewing in the future. Another benefit of porcelain crowns is being able to change the smile. Cosmetic dentistry, such as a smile makeover, depends on porcelain crowns to enhance the shape and color of a full arch or full mouth of teeth. Finally, porcelain crowns, along with dental implants are a wonderful way to replace missing teeth without needing a dental bridge. Sarasota Dentistry is a leading provider of cosmetic and implant dentistry in Sarasota, FL. The office is state-of-the-art and features 2-D and 3-D digital dental x-rays, 2 dental lasers and CEREC same-day crowns. Call 941-929-7645 or email to schedule a consultation.